Our close to home Spring break has Coe to an end but never with a dull ending. We saved the best part of the week long venture for last. 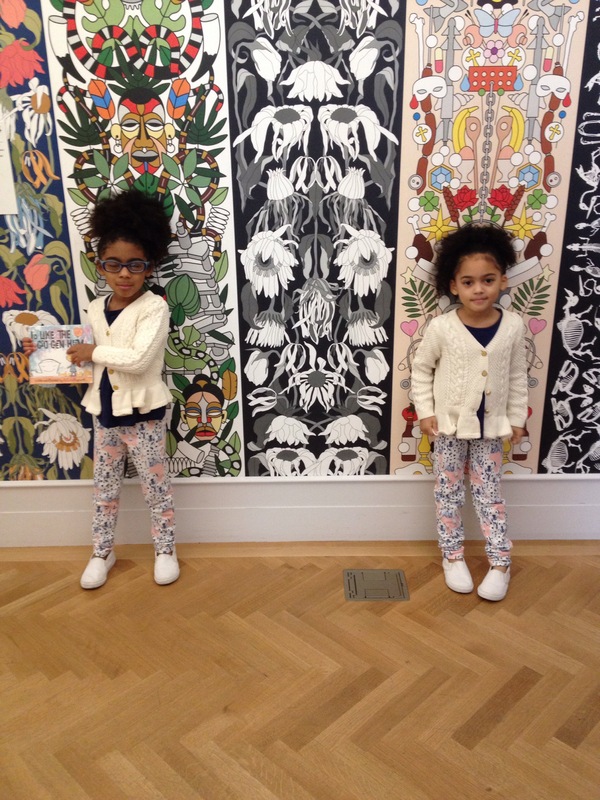 The little artists at heart were due for a trip to some of NY’s great museums. Guggenheim was number one on the list followed by Cooper Hewitt. 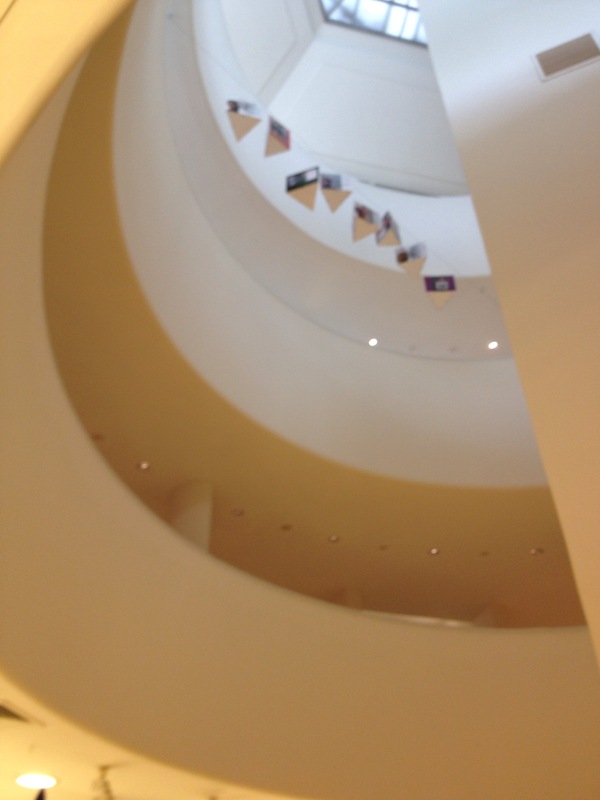 By the likes of V& K the Guggenheim’s architectural sound made for great conversation amongst the girls. 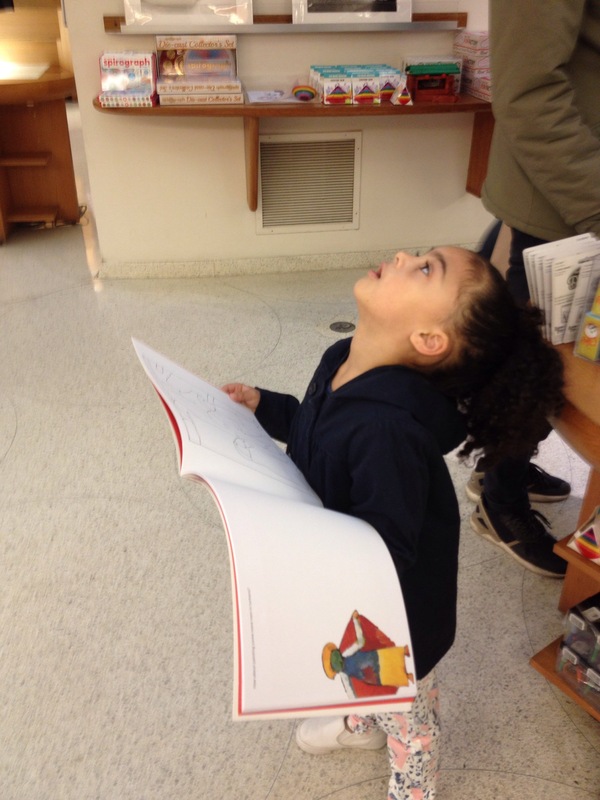 However the best part may have been visiting the gift shop where they scored a Kandinsky coloring book and a post card for their favorite art teacher. 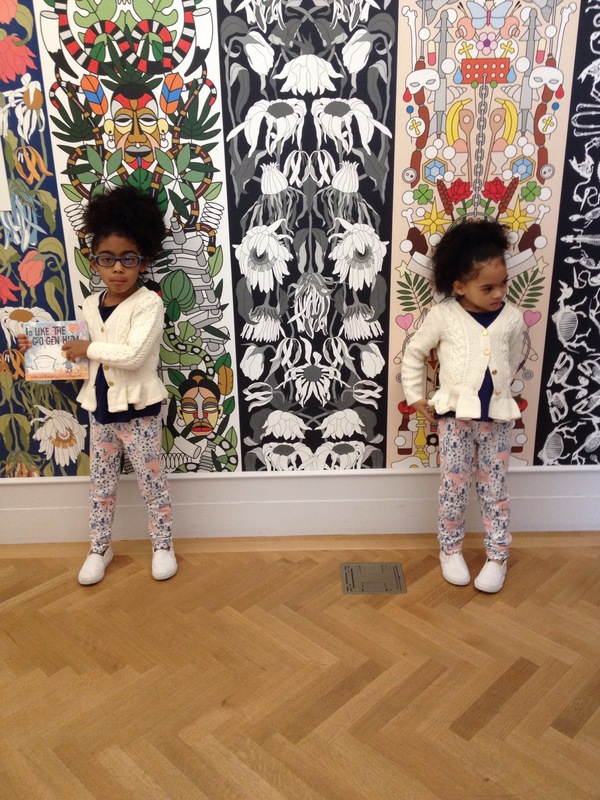 While at Cooper Hewitt ther was an abundance of interactive exhibits for them to see, yet the most exciting part was scanning in all of the exhibit codes with the magic pen. There’s this cool pen shaped marker that is given to each visitor, which allows you to scan in your exhibits of interest then laterite urn to the website with your code to retrieve all exhibit information. 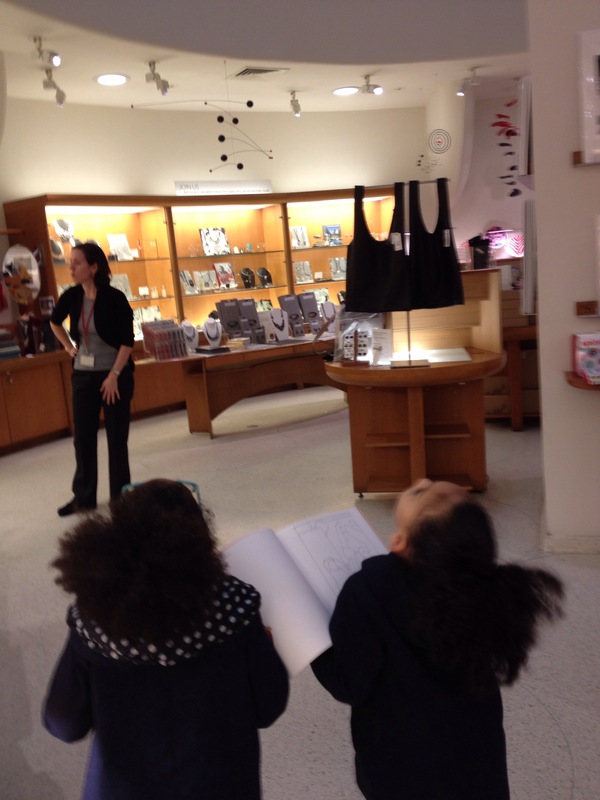 Kennedy preferred to spend the entire time in the Pixar exhibit area while her Vittoria enjoyed the interactive design table used with stylus pen as well. 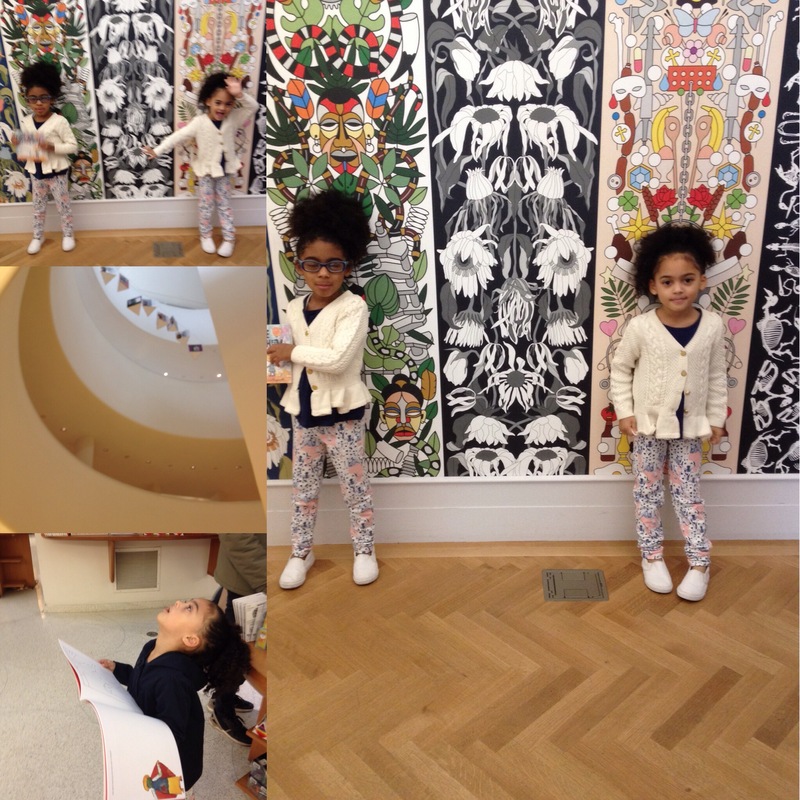 Soon hunger set in and as I said before Kennedy would have stayed in Pixar the entire time yet we convinced her that a night at the museum may not be fun….. To be continued for our close to home Spring break happy little innovators.